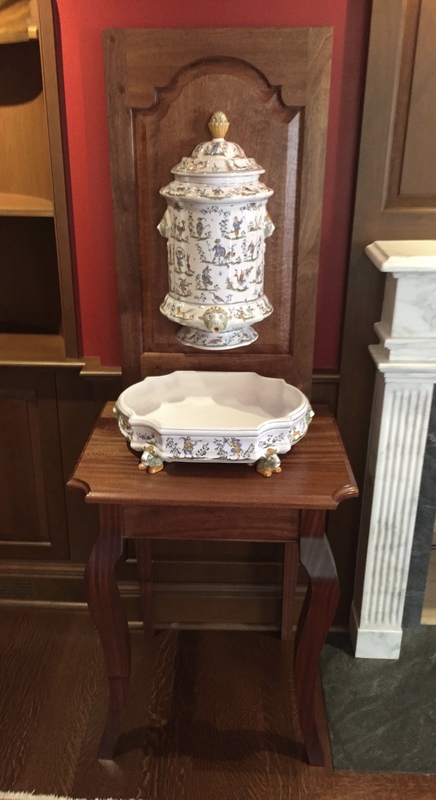 Mahogany Table for French Urn and Fountain. 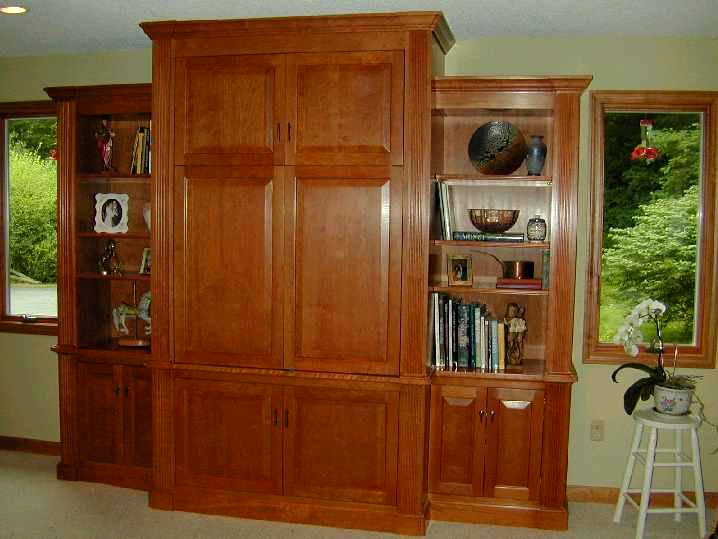 Mahogany cabinetry designed around flat screen Tv with suspended shelf above. The suspended shelf has recessed lighting installed with in it. 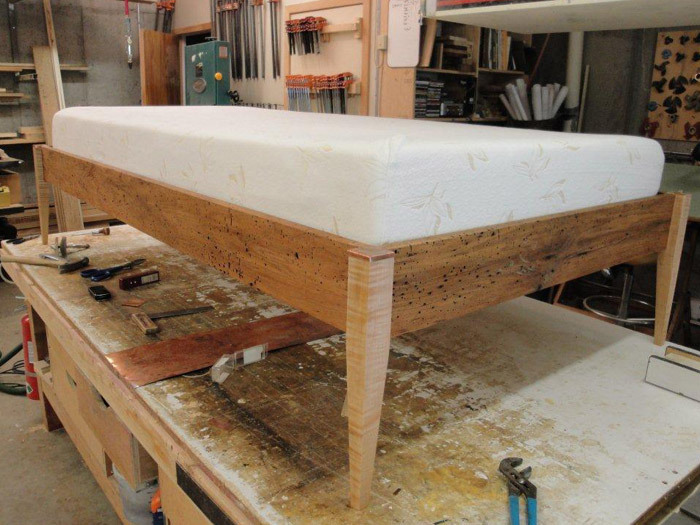 Bed made of wormy butternut with tiger maple legs and copper caps on legs. 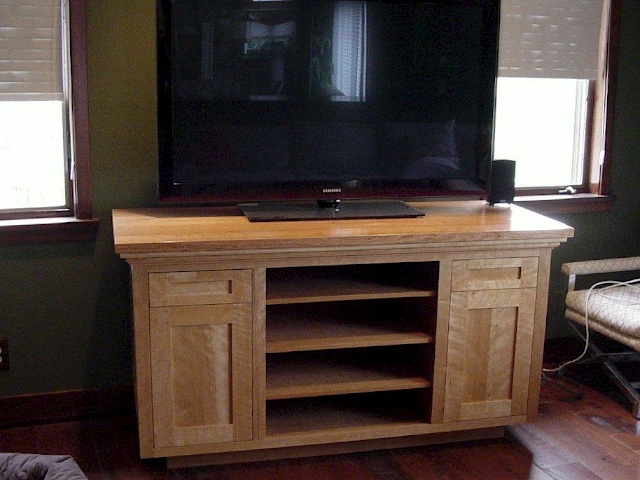 Cherry TV cabinet finished with satin lacquer. Moroccan table with interesting way to access the inside for storage. 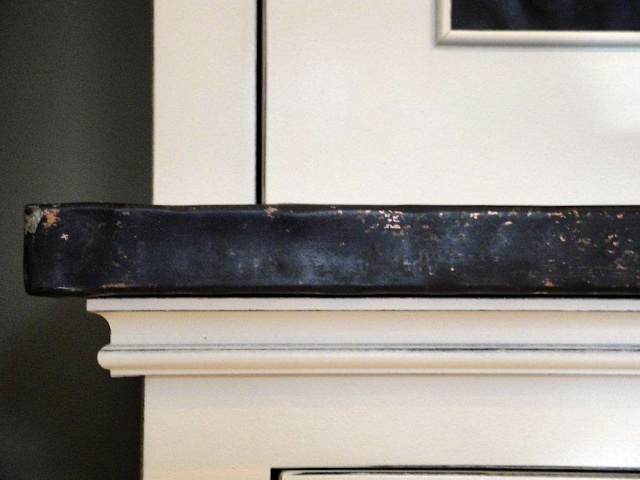 This free-standing, maple wall unit features hammered copper door-panels with a warm brown patina. 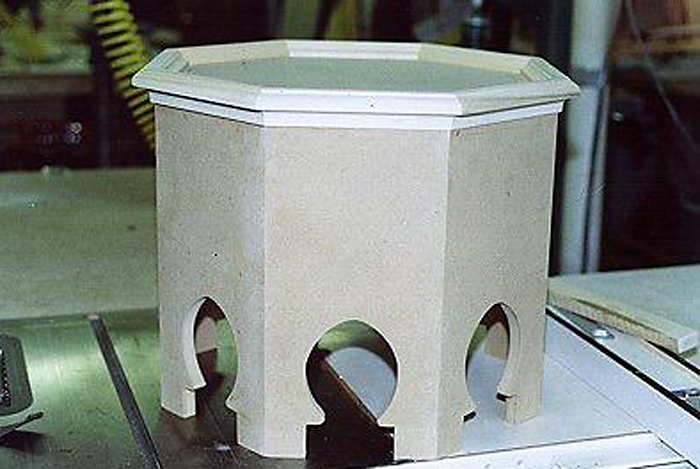 The finish includes a brown glaze over lacquer paint with a clear satin coat on top. 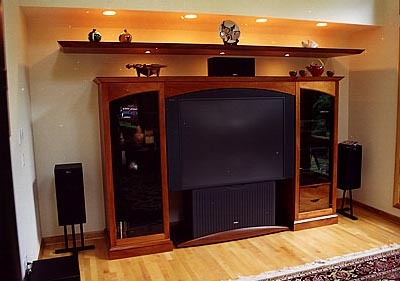 Free-standing Maple TV Cabinet with lots of display area. 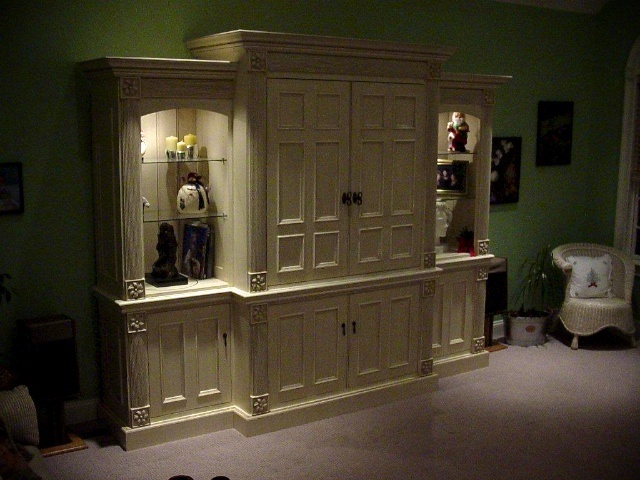 This piece is a good example of bi-height and bi-depth. 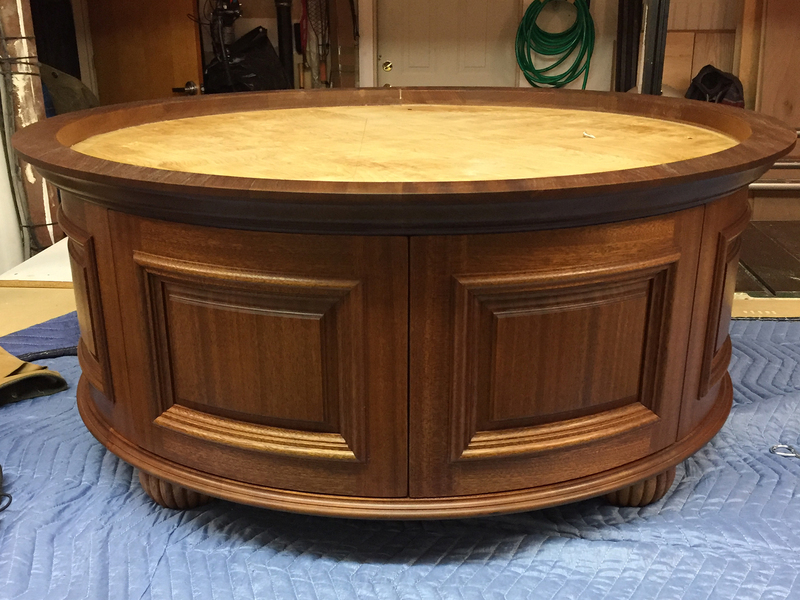 Finished with white lacquer rubded through to brown with a satin top coat. 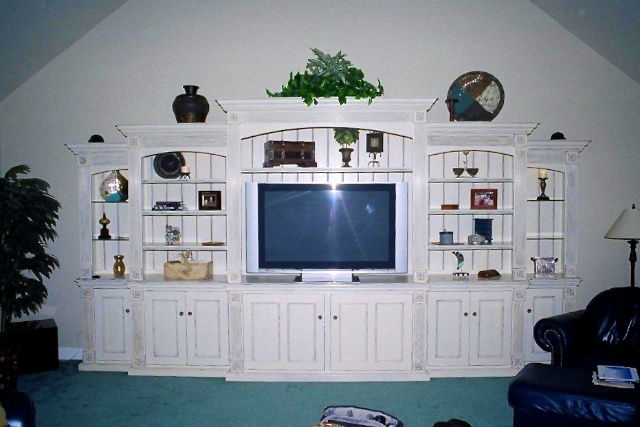 Free-standing maple unit for TV and storage with decorative column trim and flower rosettes. Finished with blue lacquer paint rubbed trough with satin clear top coat. 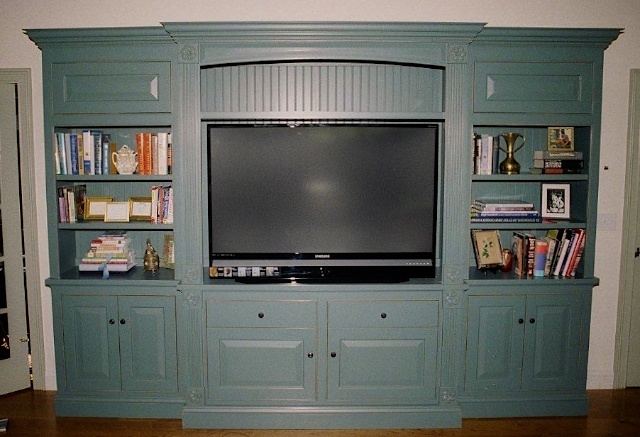 TV Cabinet is built from quarter-sawn cherry and finished with clear-coat satin lacquer. Arts & crafts doors have decorative square pegs in the corners.